There’s no doubt that the television is the focal point of any room. Framed with various wire-attracting consoles and soundbars, the importance of a well-designed television stand is often overlooked. Choosing a television stand that compliments the technology in your home underlines your eye for quality and style, so take a look at our range today. Techlink is a leading manufacturer of eye-catching AV furniture. 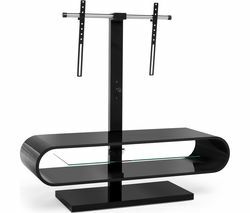 It offers an impressive range of television stands in a variety of high-quality finishes to suit any plasma or LCD/LED flat screen TV. Modern and beautiful, Techlink TV stands are functional, but they don’t compromise trends. Techlink television stands provide a stunning place for your audiovisual accessories and can add a touch of class to any room. All of Techlink’s bold designs meet safety standards and we offer a selection of Techlink TV stands suitable to all room sizes. With such a wide range of options and prices, you’re bound to find a Techlink TV stand to suit your needs. Why not see our full range of TV stands, including Off The Wall, Logik, AVF, Serano TV stands, and more?